Liposuction is a commonly used,quick method of removing excess fat from body with the help of a suction mechanism. Thousands of people each year undergo liposuction to get rid of deposits of fat in certain areas like the stomach, buttocks, thighs or even the breasts in case of women who are looking to reduce the size. Also, liposuction is the plastic surgery preferred by men who have a condition called gynecomastia, caused because of the presence of a large amount of breast tissue. People who have tumors called lipoma, which is a fat capsule just under the skin, could also seek liposuction. 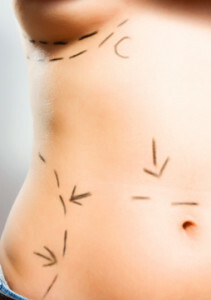 Before an individual decides to opt for liposuction, a meeting with the plastic surgeon is a must. If you live in Las Vegas, you could meet cosmetic surgeon Brian J. Parker, MD, who will explain to you the pre-operative measures to be taken and the costs involved before the procedure is carried out. Fat is taken out by way of a tube that is hollow (called cannula) and a device used for suction. There are many methods of liposuction such as twin-cannula assisted, power-assisted, ultrasound, suction, external ultrasound, water and laser assisted techniques. The tumescent technique uses local anesthesia, avoiding the need for blood transfusion. The cosmetic surgery treatment called ultrasound-assisted liposuction uses ultrasound to dilute the fat, and is generally used in removing fat from the sides, back or parts of the abdomen area. Immediately after the procedure, your plastic surgeon will firmly wrap the part of the body that has been treated. Compression of the region is crucial over the first twelve hours after liposuction to lower bruises or curb chances of hematoma, where blood leaks out of blood vessels and is trapped in the body. If you get the treat by Dr.Brian J. Parker, he will see you the day after the cosmetic surgery and advise you on change of dressing and other precautionary measures related to compression garments and medication. It takes a week before a patient can take up routine activities. Liposuction is also used to draw fat from other parts of a patient’s body and inject into the breasts – this method is called fat transfer breast augmentation. Such method is not widely used because typically thin women who don’t have much fat in their other body parts and yet want breast augmentation are ruled out for this method. There are some FDA-approved non-invasive procedures such as Coolsculpting, Venus Freeze and Fraxel Laser that are also used to either kill fat cells or shrink them. These techniques are sometimes used in combination with each other or with plastic surgery methods – you could ask your surgeon for more details. Whether it is liposuction cosmetic surgery, traditional surgery or non-invasive methods like Venus Freeze, CoolSculpting or Fraxel Laser, the costs vary depending on which city your facility is in or what technique you choose. Also, some firms offer insurance for these procedures if they are being carried out for medical reasons. You could check if a loan can be borrowed for your liposuction treatment – Brian J. Parker, MD and his Las Vegas office may have more advice for you on the same.